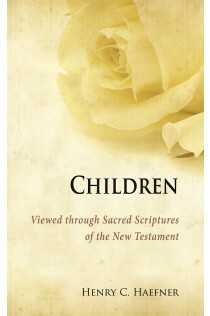 Children Viewed through Sacred Scriptures of the New Testament considers the importance of children as seen through Sacred Scripture. Each of the twenty-six easy-to-read reflections are based on Scripture. What does Sacred Scripture tell us about children? Are children forgotten by God? Or are they precious and close to God’s Love? Scripture clearly tells us that children are known by God before they are born. They are a blessing and a gift. Their hearts are filled with innocence, hope, and joy. Jesus actually tells us to be like children and come to Him in faith and trust. May these Bible verses and reflections about children lift your spirits and remind you of the tender heart that God has for all of His children.